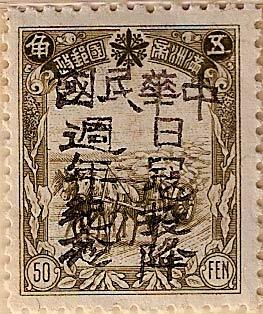 This is a full set of eight stamps in black celebrating the anniversary of the Japanese surrender. 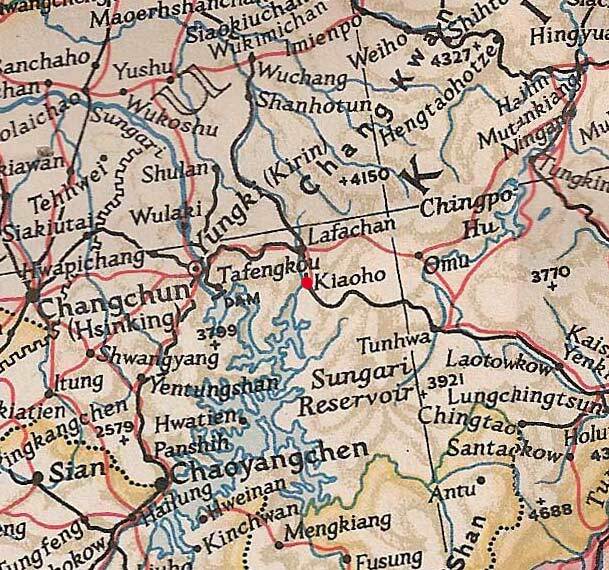 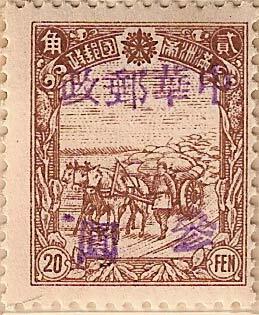 The top four characters read 中華民國 Chinese Republic. 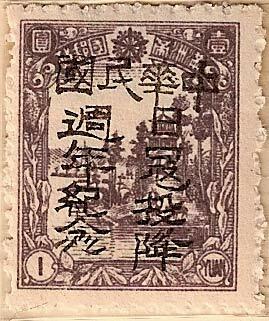 This is a set of five soft violet surcharges. 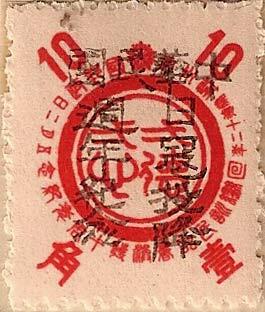 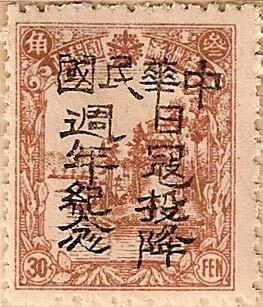 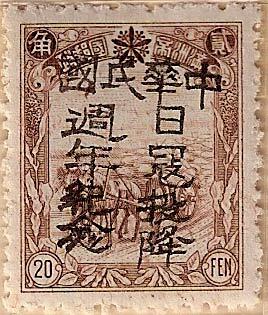 The characters at the top read 中華郵政 Chinese Post with the surcharge below. 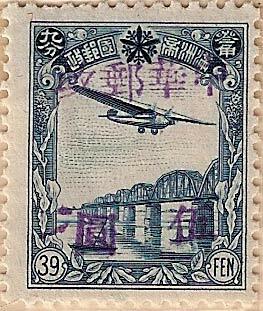 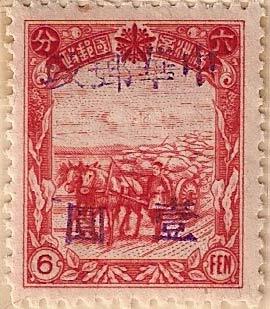 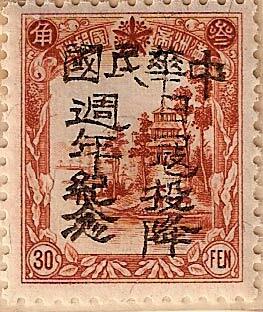 All of the stamps known for this town are shown above.